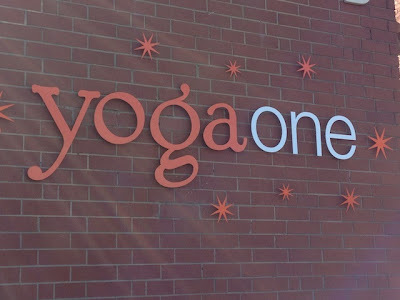 on april 29, 2009, I joined yogaone in the plaza midwood (an amazing eclectic/hipster) neighborhood in charlotte ... and it forever changed my life~ my body, mind, and soul felt revived and refreshed when i practiced regularly. although the practices are quite difficult-- the studio is heated and it's vinyasa/constant flow yoga, which can be intense-- i started to notice that my perspective on many aspects in life started to change- i was calmer, experienced less anxiety, had more confidence to confront/overcome difficult situations, and most of all, i tried not to let small things bother me as much anymore- like getting upset while driving, staying calm when one of my students did something annoying, or when i encountered something out of the ordinary, etc. honestly, i am excited and nervous at the same time- in the end, i think it's going to be amazing!! i love being on my mat. however, my biggest challenge is going to be what my co-workers have been stressing to me forever~ 'to just say NO' (according to one of them- dr. oz says that saying 'no' adds 7 years onto a life and she says that i never say 'no') ... it's a problem for me. i am not in denial and know that i struggle with this! 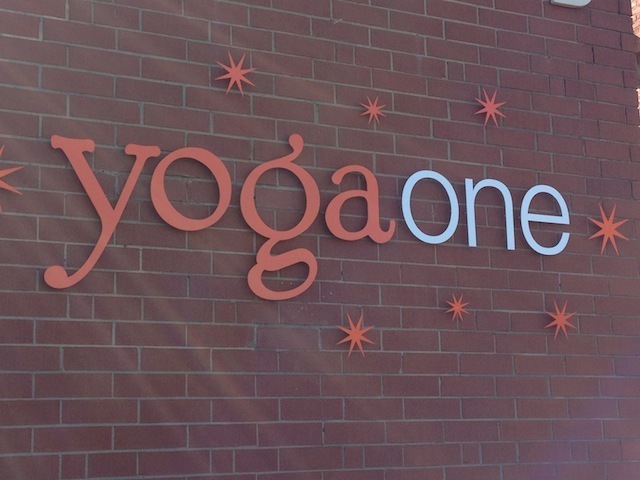 however, tonight i said 'no' to three separate events to go to yoga!! small steps. *i am blessed with many wonderful/close friends in this beautiful city and tend to be on the move - but am hoping that this experience will allow me to build a closer relationship with myself. one of my goals in life is to have balance: balance between reflective practices that can be relaxing, yet challenging too like practicing yoga, reading, writing, praying and social events with friends and family, which usually involve lots of fun - conversing, eating, drinking, laughing - also things that i dearly love. in the end - i yearn for a healthy and strong balance. *wish me luck and please send prays- i am going to need them both i think. - just take in the entire experience. i went in with some anxiety after a strenuous week at work/planning and left feeling amazing and very relaxed! ... it was one of the more challenging deep stretch classes i've been to and it was practicality empty in there - being that it was a friday night! oh, how things have changed from my first few years in this city. tonight, i loved the openness of the class - we're usually packed in there - literally- so it was rejuvenating. deep stretch is similar to what many of you generally think of when you think of the word: yoga. one of my favorite parts about deep stretch is that unlike vinyasa power classes, there is almost always music playing the entire time- which i love. *a few years ago, during a deep stretch class, was when i fell in love with amos lee's album, el camino - so good. a sign? i felt like this might be meant to be when fauna started the class tonight saying: yogis tend to live 'happy lives' - most of the people that come to yoga classes live full, jam- packed lives and are always on the move ... we come here to refresh our body, to rebuild what is broken, and to experience that everything is one.